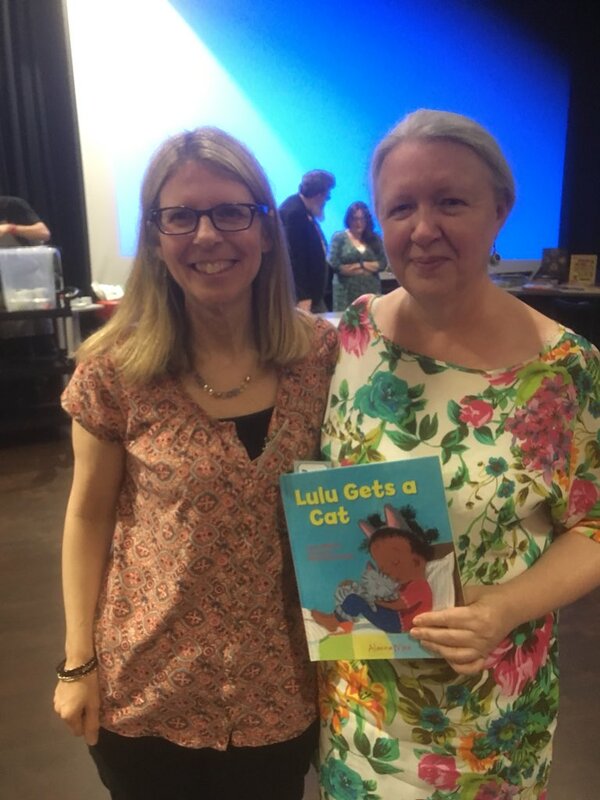 I regularly give talks to parents about selecting and using picture books with their children; I give talks and run workshops for colleagues and other childcare or library professionals regarding choosing books and using books. I'm particularly asked about using books in multicultural contexts and multi-language settings. 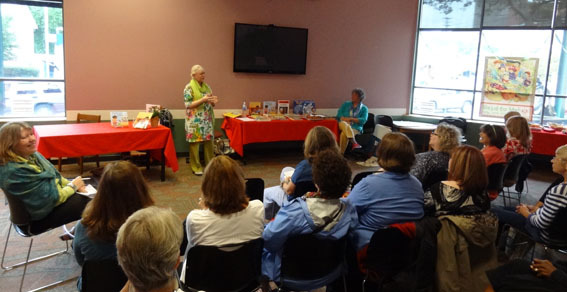 Finally, I give talks or run workshops for authors and illustrators on subjects from how to get the best out of visiting a bookfair to one-to-one editorial sessions. If you would like to know more about workshops for children, click here for information. At Here Wee Read, I find and share the very best diverse and non-diverse books that I read aloud with my two children. and a love for shared reading. At the Letterpress Project we believe that there is something very special about reading books...Our project has been established to help spread an important message – that books can change everyone’s life. Interview about What Are You Playing At? featuring children who are under-represented or making books from RIGHT AROUND THE WORLD available to UK readers. Organised by the Danish Embassy, the Nordic Literature Festival was a celebration of Nordic literature in translation. With the Danish Editor, Kaya Hoff, of Gyldendal Publishing in Denmark, and Chair, Joy Court, I took part in a discussion about Little Frog, originally published in Denmark and acquired by Alanna Books for the UK market. 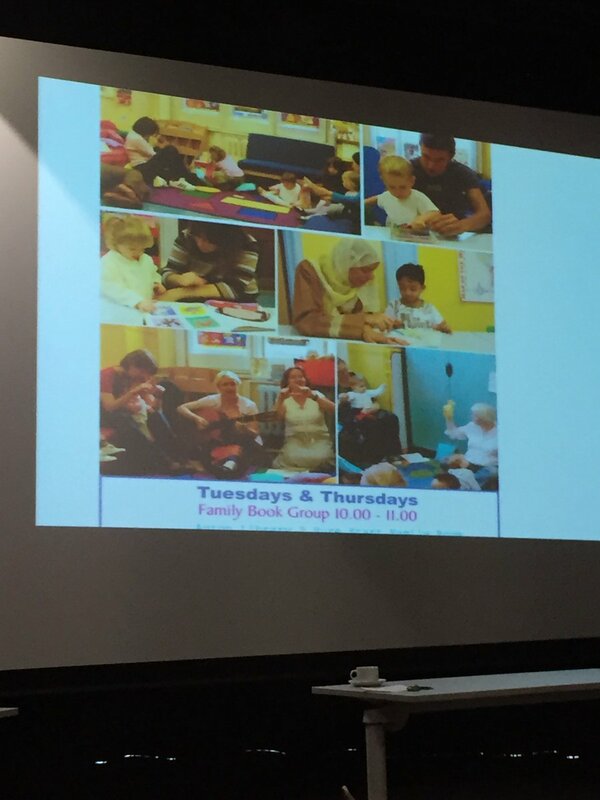 I was delighted to join Georgina Tate to offer one session on Literacy & Communication, as part of a programme of monthly early years cluster school meetings for early years teachers, nursery nurses, leaders working in schools in Ealing. The teachers came together after school hours to share practice and reflect together about how to develop their own teaching and learning and ultimately improve outcomes for children. 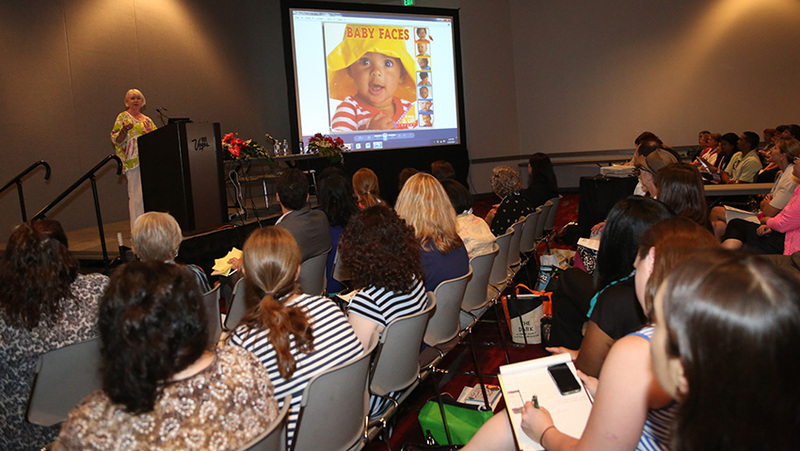 My session focused on Literacy and the importance of reading to young children. IBBY UK co-organises a one-day MA Conference in November each year in conjunction with the National Centre for Research in Children's Literature at the University of Roehampton, London. 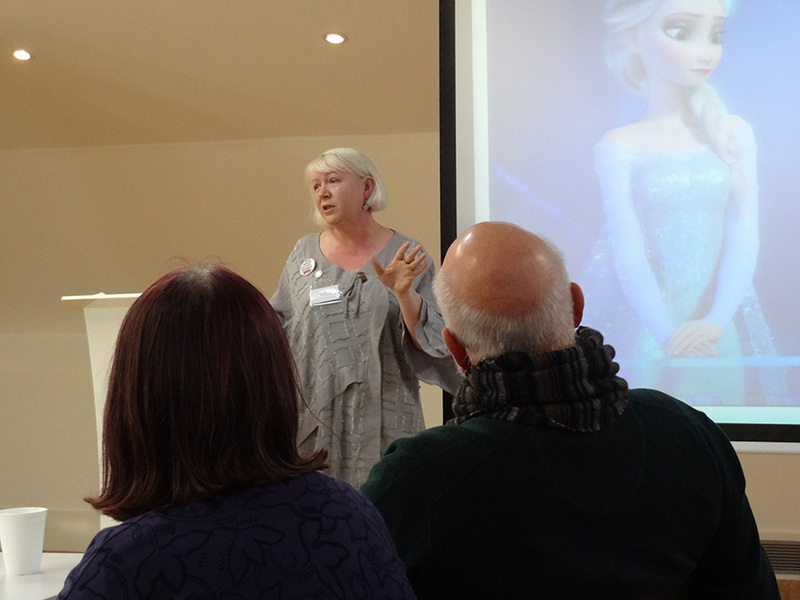 As part of the YLG (Youth Librarians Group) conference, I gave a workshop on working with the under fives and their families and in particular, how to include families with English as a second language in rhymetimes. 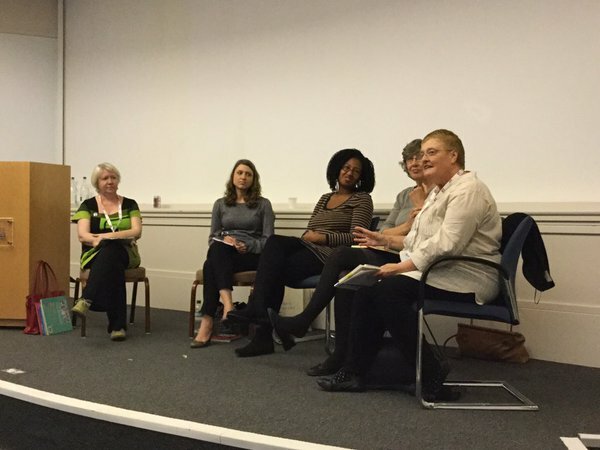 I was also on the panel with Dr Alice Curry (Lantana), Jasmine Richards (OUP), Janetta Otter-Barry (Frances Lincoln and recently her own list Otter-Barry Books) and (chair) Tricia Adams titled: A (diverse) books is for life not just for Black History Month. It was wonderful to be invited to kick off this unique event. I've been avidly following the progress of the #WeNeedDiverseBooks campaign and other initiatives which followed the event in the USA (organised by CBC), so I was really excited to be part of this 'action'-focussed day. (facilitators not shown, Jane Ray and Pippa Goodhart). Wednesday January 28 saw children’s book publishers coming together with booksellers, teachers, librarians and other key partners for a unique event aimed at turning discussions around inclusion and diversity into action. 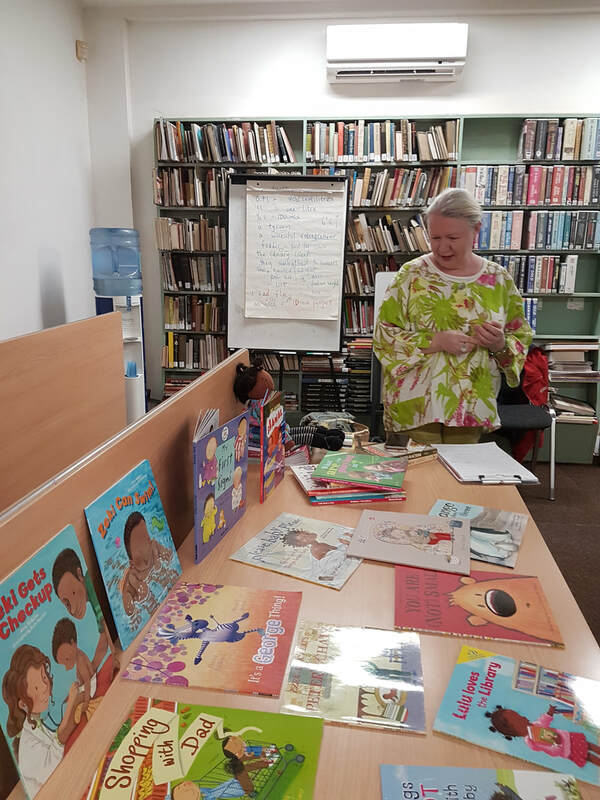 The event took the form of a workshop aimed at helping the children’s book community to agree a clear way forward in terms of achieving real inclusion. 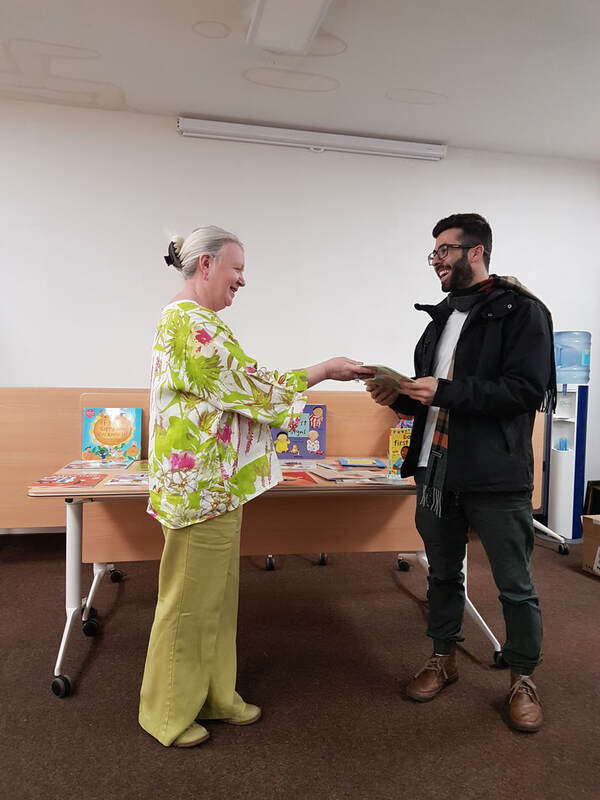 The event was facilitated by the organisers together with a team of children’s book writers and illustrators with particular interest and experience in the subject. After an initial introduction, participants moved to one of six tables and the artists posed a series of questions to them, ranging from the importance of access to inclusive and diverse books, to ideas for practical and commercially sound strategies to ensure that more books are produced. 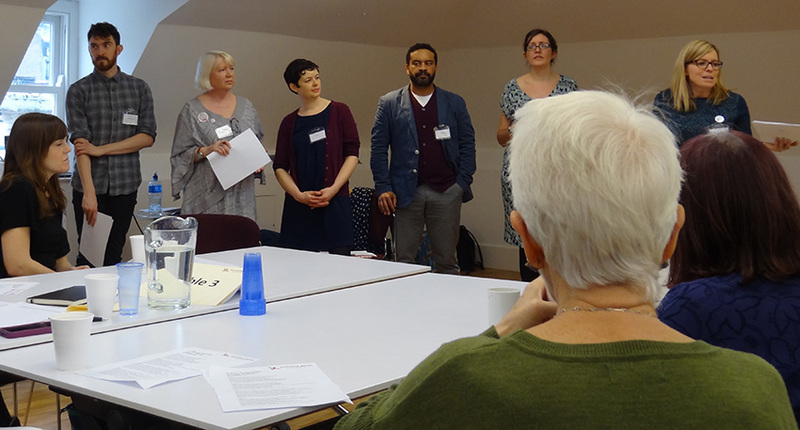 The roundtable rather than traditional conference format was key – allowing the participants to truly consider their role in creating a more inclusive book world. 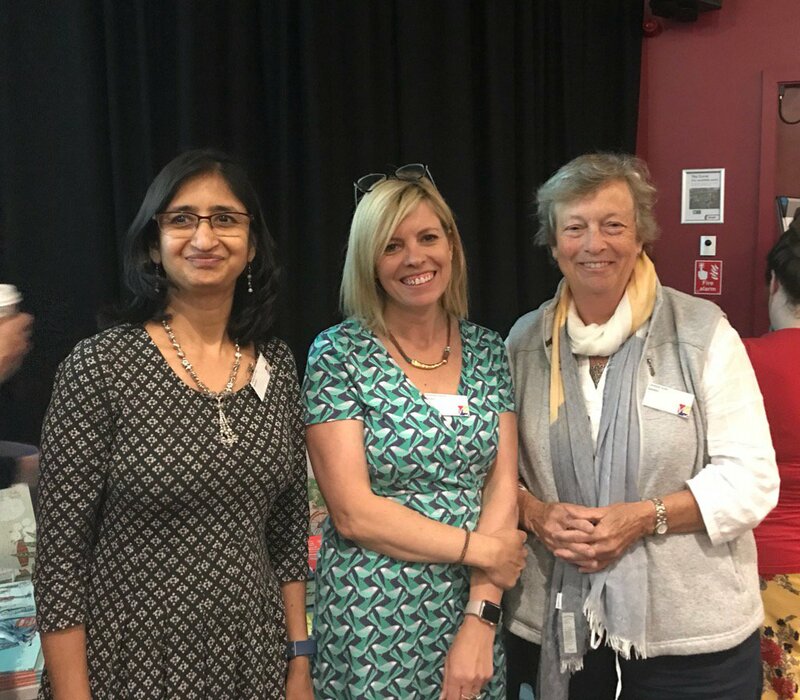 It was a great honour to be invited to give the key-note speech to open IBBY's Belonging conference in Roehampton in November. 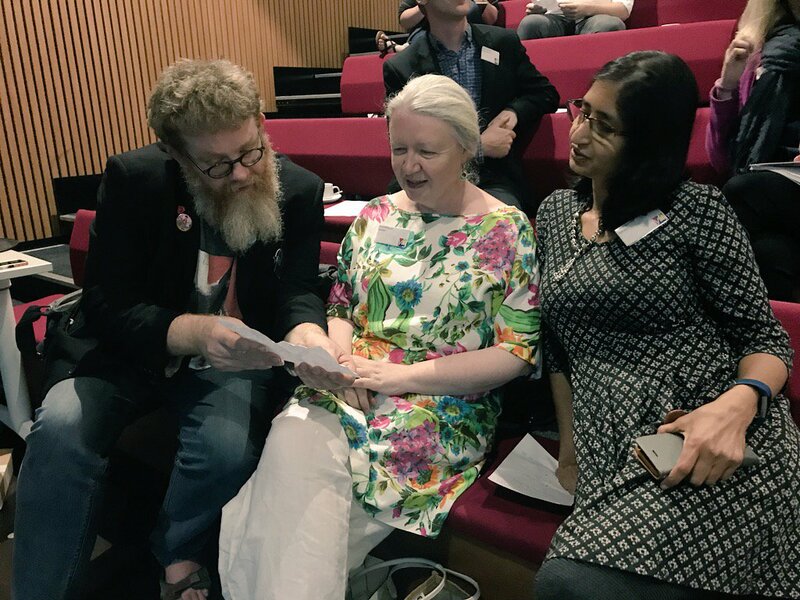 I traced the ebb and flow, the advances and retreats in the battle to make children's books more inclusive and diverse - to set the scene for a day of discussions and workshops on belonging. Beverley Naidoo closed the day and the hours in between were packed and intense with papers from Julia Hope, Anne Harding, panels including Carol Thomson, Mary Hoffman, Ros Asquith and Sarah Garland, and who could forget, Candy Gourlay! Read more about IBBY here. 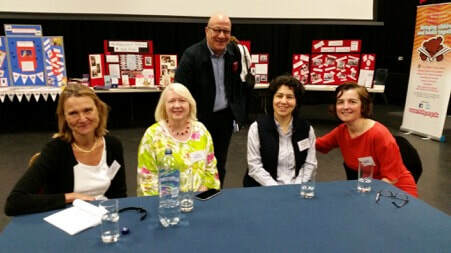 Read more about the conference on the IBBY UK website by clicking here or here. Read my full speech here. 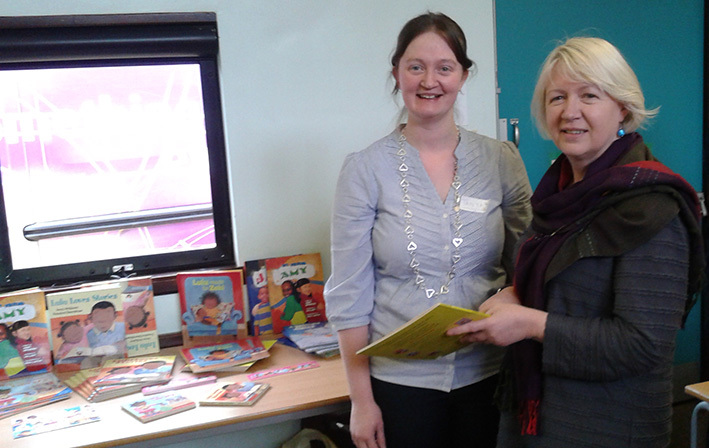 I was delighted to work with an enthusiastic and engaged group of Early Years practitioners, Childminders and Librarians to discuss how to better include all families in their work and especially to look at the difficulties (and propose some strategies) for using books and telling stories with children who don't speak English as a first language. I was incredibly proud to be asked to be part of the annual program commemorating the work of Charlemae Hill Rollins (1897-1979) - a Chicago librarian and author who was dedicated to improving the image of African Americans in children's literature. It is now available - to listen to rather than watch here (you need to input this access code LLXO2520, then search by title - ALSC Charlemae Rollins Presidents Program). Or, for just the highlights, you can read my blog. A panel discussion on what makes a good book selection for the youngest sect of library visitors. 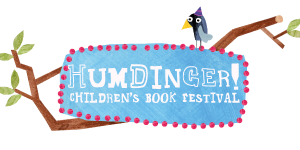 Session will include a special focus on why picture books are so important for this growing group of pre-reading patrons and tips for successful story-hour programming. 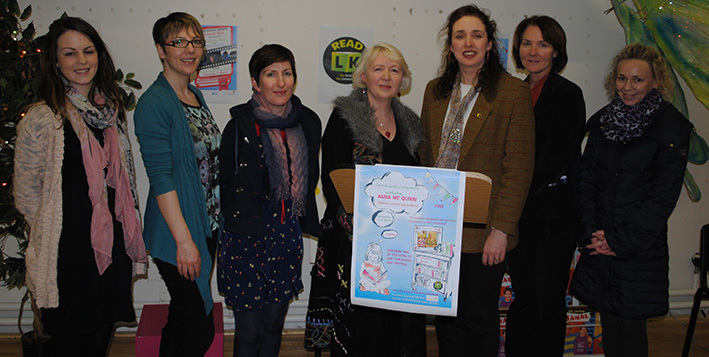 Panel lead by Anna McQuinn, UK librarian and best-selling author of the Lola at the Library series. I was very proud to lead this discussion with Suzanne Bloom (author and illustrator of the brilliant Goose and Bear series and the wonderful Editorial Director at Charlesbridge, Yolanda Scott. You can log on to watch an MP4 video of the talk on the ALA website: You'll need to input my code: LLXO2520 then go to BookBuzz Theatre. 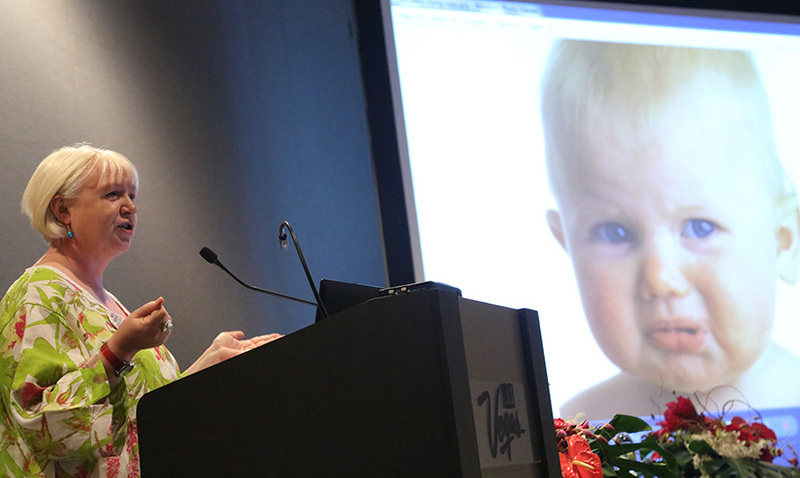 This session was on Sunday June 29th, 2014. This was YLG South East's first Un-conference and one of my first 'unconferences'. A Passion for Picture Books! Anna McQuinn and Suzanne Bloom speaking about their passion for picture books, why they are important and how to select the best ones. "Which part of the course did you find most relevant or useful?" 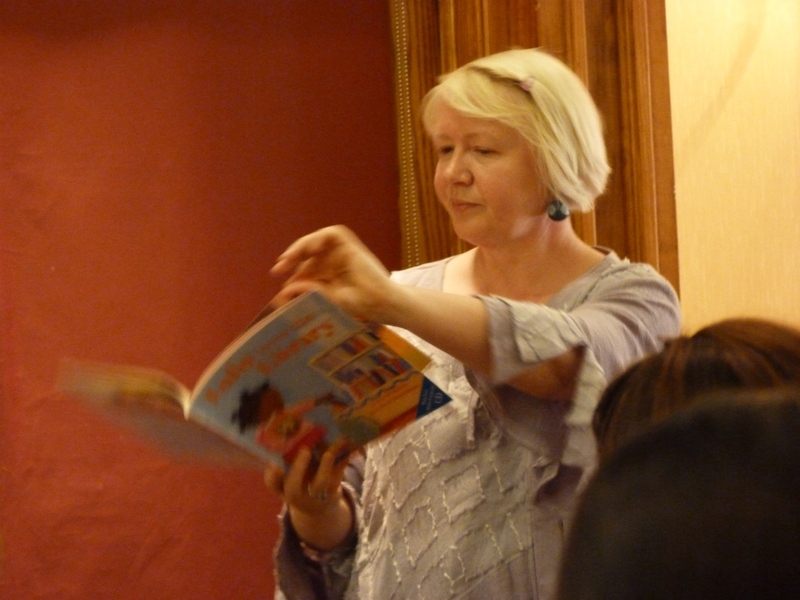 "Anna McQuinn - very interesting"
"Anna McQuinn - making storytime open to all." There were lots of general comments which included you too of course. A workshop for parents, teachers and others working with children looking at ways to encourage reading. Beyond the Book - Making children welcome through visual clues in the setting, approaches to making nursery rhymes and songs more inclusive and looking at books for children with English as a second language. I was thrilled to be given the opportunity by Book Trust to give a series of talks exploring the issues around using dual language books and reading and sharing stories in settings where multiple home languages are used. The delegates were a mix of early years librarians, Book Start workers, early years workers, language specialists, teachers and family support workers. Check out the Books for Keeps website (though if you subscribe or can read it in your local library, you'll see the pictures as well). I was delighted to be given the opportunity to discuss the reasons I developed the Lulu CD and all the issues that we considered during the development. To find out more about this, check back later - I've just written an article for Books For Keeps and will have a link soon. I was delighted to be in Dublin and able to attend the ELSTA conference. The response from teachers to the Alanna Books was wonderful. I also found out more about the wonderful programme at Lochrann - the Centre for Intercultural Education. 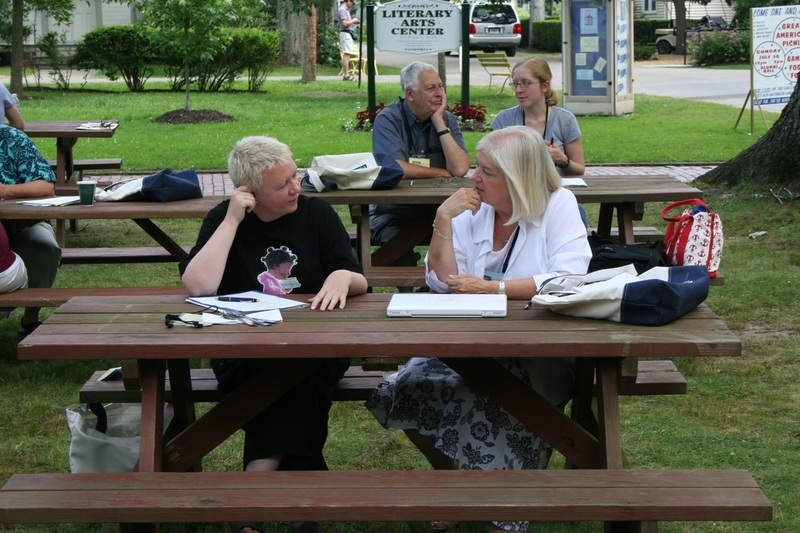 I was delighted to be asked to be a faculty member at the Chautauqua Writers' Conference run by the Highlights Foundation (do click on the little video of the Chautauqua Experience - it really sums it up - I swear I did some serious workshops, but the video only shows me singing!). I gave a number of talks and also tutored six writers over the week-long conference. 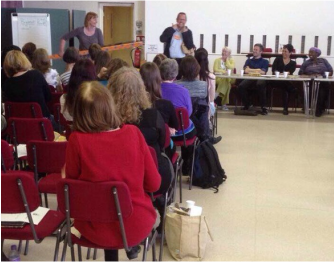 I was delighted to take part in Wandsworth's Life Chances for Parents Conference in July 2009. I gave a talk to parents on choosing books to share with their children and discussed reluctant readers, parent confidence and many other issues. I was delighted to speak at the final day of this wonderful scheme. I gave a talk on inclusion and how complex an issue it is. I discussed tokenism, voyeurism and many other issues. It all sounds a bit heavy, but actually it was a lively fun afternoon.